Here’s a story about gaming addiction. Picture a boy growing up in the ’80s. It was an exciting time, let me tell you if you weren’t there. The invention of the internet, and video games on a slow but sure rise. Technology was sensationalized, new, exciting, fresh! When the boy turned six, his uncle gave him a Nintendo Family Computer (FAMICOM). Every day he’d finish up his chores early so he could reunite with his thrilling new toy. Not long after the PC came along and his standards for technology were totally blown. When Instead of playing Super Mario or Adventure Island on the FAMICOM, he now spent his time playing the latest PC games. As video game technology started to advance so did his taste in video games. When the internet came it introduced him to the glories of online gaming. This is where things started to go a little downhill. He became obsessed and preoccupied with game releases, the different characters, leveling up, and perfecting his skills. He was hooked. As he got better at gaming he got worse at everything outside of his digital reality. He showered less, he exercised less, and he even stopped attending class. He realized he needed to make a change. The innocence of childhood had expired and the technology was consuming his life. This story sounds like something out of a ’90s educational video used to scare kids out of playing video games. But it’s all true. He was addicted to video games and he’s not the last to be or the only one. A study by Dr. Douglas A. Gentile examined the video game usage rates of 3,034 children and teenagers. It revealed thatan estimated 72% of American households play video gameswith an average of 20 hours per week spent on playing those games. About4% of those were extreme gamerswho played for more than 50 hours a week. In a separate study by Hussein (2009), 41% of his respondents admitted that they played computer games asa way to escape from reality, with 7% of these gamers being dependent. Although video game addiction has been classified as a disorder by the World Health Organization (WHO) there are gaps in its understanding. Some classify it as unusually high levels of gaming activity and others believe that dependence is a telltale sign of video game addiction. There are various signs however that can be used in order to diagnose video game addiction. Gambling addiction is often diagnosed when the game is given priority over other aspects of the gambler’s life. To a certain extent, video game addiction is the same. Those addicted to video games spend a majority of their time immersed in virtual worlds. Many use these platforms as an escape from the harsh realities of real life. Other addicted gamers may be less aware of their usage and end up spending way too much time with their games without realizing. All this time spent gaming means less time spent doing anything else. An important aspect of addiction is denial. Many addicts will fail to identify their habits as addiction and will overlook the extent of the problem. For video game addicts this cover-up entails various attempts to hide gaming activity. These attempts at covering up activity can be observed in various everyday situations. This can be as simple as lying about the number of hours spent playing. Those that work in an office or spend a significant amount of time in front of a computer know that staring at a screen for too long or being overly exposed to blue lightcan hurt your eyes. Spend too much time staring at a screen and this eye strain can become a migraine. Spending a significant amount of time playing can lead gamers to develop problems with their vision. This is due to the constant focusing and refocusing of the eyes when looking at a video screen. 4. Feelings of restlessness or irritability when unable to play. Gaming isn’t a drug but it affects your body similarly to one. 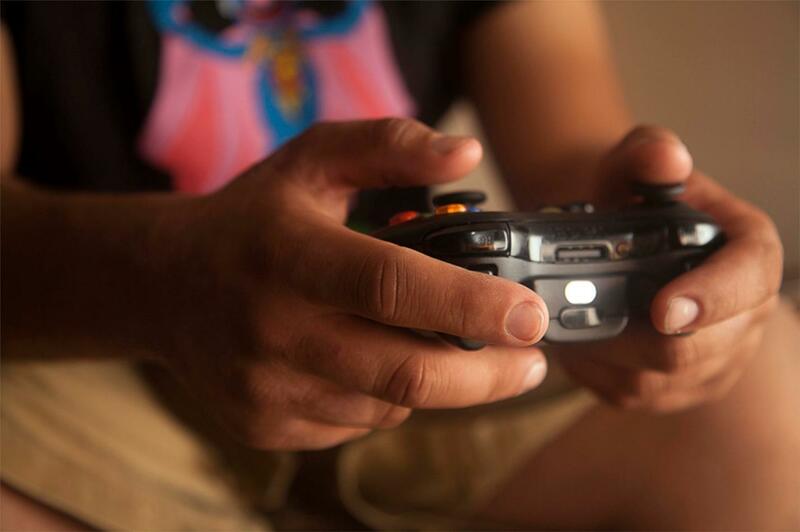 Video game addicts tend to showsigns of withdrawalsimilar to that of alcohol, nicotine, or drug abusers. That is because gaming also has addictive components. During video game sessions, our brains are flooded with dopamine. This hormone is responsible for giving us feelings of pleasure, which is also responsible for the development of addiction. When games are withheld from addicts they’re missing the surges of dopamine gaming gives them. This leads them to display signs of withdrawal: deep longing for video games, restlessness, and irritability. 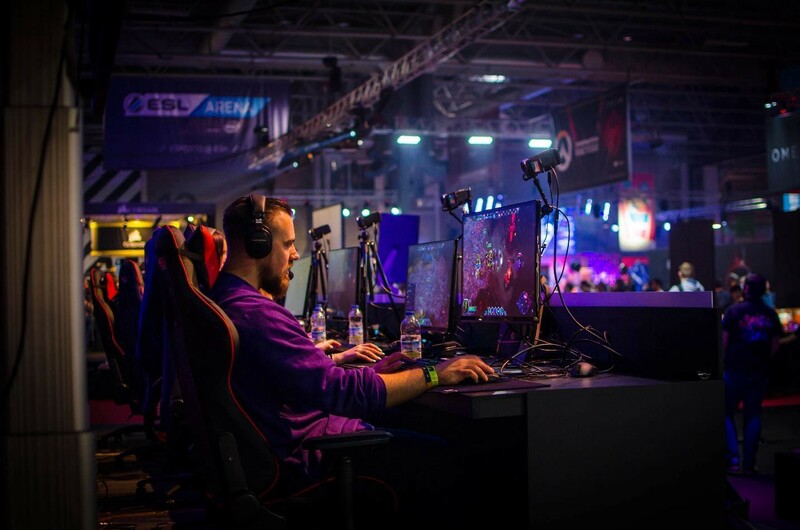 One of the most subtle signs associated with video game addiction is that addicts tend to talk about past and future gaming sessions all the time. The reason for this is due to the withdrawal symptoms we discussed earlier. When an addicted gamer is away from their devices for too long they will find solace in speaking about them. Video game addiction can be an easy thing to slip in to, but armed with these five signs it should be easier to be mindful of. Whether it’s you, someone in your family or a close friend keep an eye out to find better tech/life balance.